Because, as of 5 p.m. today, I had zilch, and I had to go out for several hours, and I couldn't go without posting something, because I didn't announce on yesterday's post that I would be taking the day off (and I am OCD really dedicated to my blogging schedule). Yeah, so I was in a hurry and tried to explain to Middle Child (who wasn't really listening) to take some "cute" photos of JF "smiling" or some video of someone "chasing Dewi in circles around the downstairs" (he loves it and it's funny), and to have it all ready for me when I got home around 10 p.m.
And, well, I can't show you the video of Jon Farleigh's cheek (that Middle Child got while blindly aiming the camera toward the floor - where JF was lying - as she was lying on the couch watching TV) because she also managed to get some pretty good footage of several piles of laundry that needs to be folded, as well as some close-ups of her newly painted pink fingernails...bla bla bla. 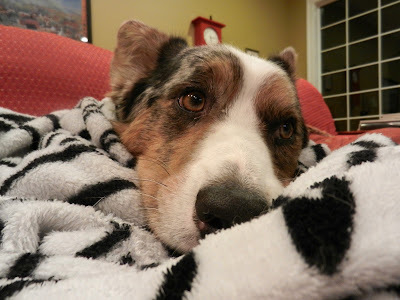 But the good news is that I have these pictures of Dewi (who was lying asleep in a Snuggie on the couch on top of Middle Child who was watching TV) to post for you. Is it better than nothing? 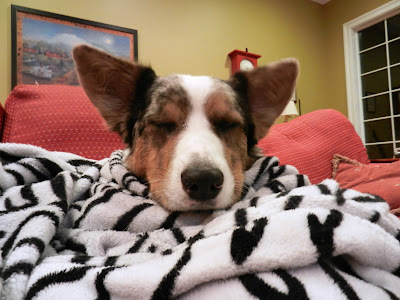 I want a Dewi in a snuggie for my bed!! Especially since it's a zebra snuggie and it would match EVERYTHING I own lol. I love those photos of Dewi! That is awwesome and Dewi is totally ROCKING that snuggie, if I do say so myself. 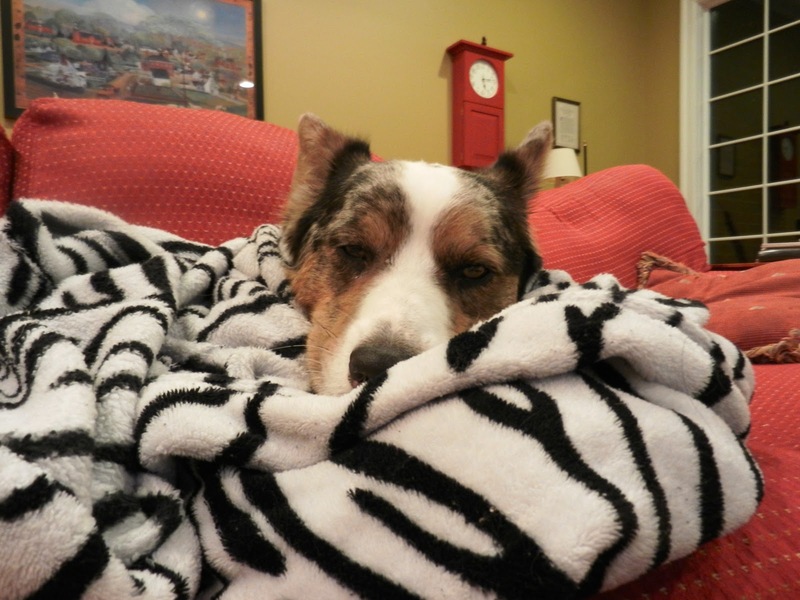 There is a zebra snuggie in the picture- OF COURSE IT'S BETTER THAN NOTHING!!! i think she did a good job! also, that snuggie is awesome. mine is plain red and it's the old thinner fleece. i need a new one!